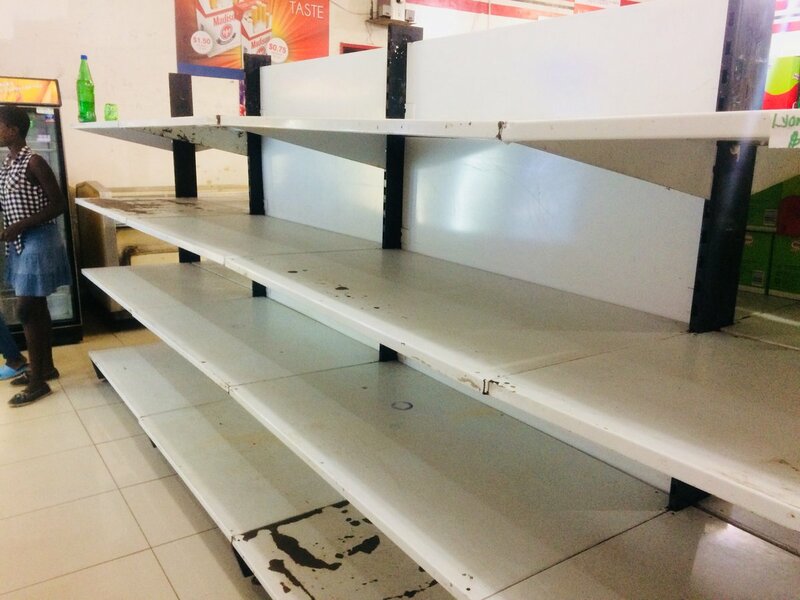 The Confederation of Zimbabwe Retailers (CZR) has urged retailers that still have stocks to ensure efficient distribution of the available goods and ration them to ensure wide access while decimating any hoarding tendencies emerging out of opportunism, panic and lack of confidence in the market. CZR President Denford Mutashu said they are currently having urgent meetings with all stakeholders involved with a view to finding lasting solutions that will help resolve the situation. “CZR is currently having urgent meetings with all stakeholders involved with a view to finding lasting solutions that help resolve the situation. Consumers are also encouraged to respect their responsibility to consume goods in a sustainable way so that others can have their needs met as well. “CZR regrets that one of the immediate impact of the current situation is the suspension of operations or closure of a number of shops, ranging from restaurants, fast foods, grocery shops, pharmaceuticals, clothing shops, hardwares and others – due to lack of supply, forex shortages and price increases which have made it impossible for them to replenish their dwindling stocks and retain value,”he said. He added that the situation might result in more shops closing down as well as empty shelves for the ones remaining open, and the emergence of a black market for basic goods if not attended urgently. “The ones still operating have limited stocks and are experiencing supply bottlenecks and price changes. Some have resorted to pricing their products in US dollars, as a survival strategy. “All these developments point to how urgent the situation requires engagement to protect the consumers while maintaining viability and sustainability of the retail sector. “Our fear is that if the situation is not urgently addressed, it might result in more shops closing down as well as empty shelves for the ones remaining open, and the emergence of a black market for basic goods,”added Mutashu.